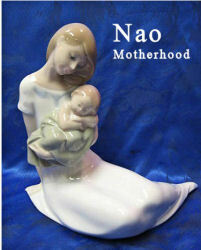 Finding the value of Nao Lladro figurines depends mainly on three factors; rarity, condition, and desirability*. And of course which type of value you are looking for; book value, (estimates by knowledgeable collectors), and true value, (what someone has and will pay). 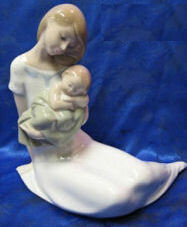 Figurine values for insurance and appraisals are typically Book values, and values for buying or selling right now are True values. 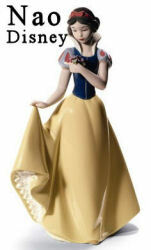 *The “desirability factor pertains mostly to the figurine’s subject matter. Finding True value is actually easier than finding a trustworthy Book value. List values ranged from a high of $283 at CollectibleSearch.com to as low as $55, at other sites. The True value was quite different. Using the two top auction and collectibles sales sites, Worthpoint.com and ebay.com actual “sold for” prices ranged from a high of $64.99 to a low of $26.00. The point of this illustration is that if the Nao figurine being valued is not an extremely rare piece, the easiest and most reliable place to get a value for the figurine is ebay! Although much maligned, and too frequently thought of as an online “fleamarket,” the ebay of today is not the one most people think they know. It has the most available selections, and the most buyers and sellers in one place, of any site on the Internet. In striving to compete with the “trustworthiness” reputation of Amazon.com, ebay has revamped their operations to make the customers experience, and the “trustworthiness” of their sellers, as safe and convenient as shopping at your favorite local antiques store. What you will see first are the listings that are available, and the prices being asked. Note that you will see a combination of auctions that you can bid on, and Buy-it-Now listings with a price that you can click and buy immediately – without bidding. 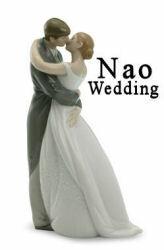 This page will show you what seller’s think the figurine is worth. But the next step will show you what buyers were willing to pay, and give you an idea of the True value of the piece. Click on the “Completed listings” choice. This will show you which of the listings for your piece sold, and for how much, and which pieces did not sell. 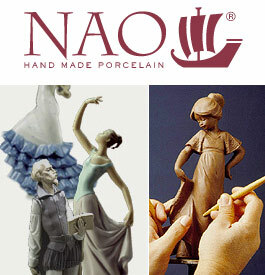 The ones that sold, and the price they sold for will give you an accurate idea of the True market value of the Nao Lladro figurine you are researching.